The SK500LC-10 scale model arrived just in time for our Event at Intermat being delivered direct from Conrad to our onsite booth. Our Marketing team gave the model a cheer as it arrived. It was the last item we were waiting to put on display in our onsite Fanshop! The response from collectors who came to visit us and bought the model was very positive, with people stopping to chat about the model and their collections. Some collectors came back to see us over a couple of days of the event to share their feedback and to chat about our machines. Our first production was just 300 so we had some in time for our event and we have some limited stock left for our fans to purchase now, go here to buy. Don't worry we will have another production run starting middle of May and Kobelco is going to Conrad to video and photograph this for our fans. We really hope you enjoy the SK500LC-10 scale model. 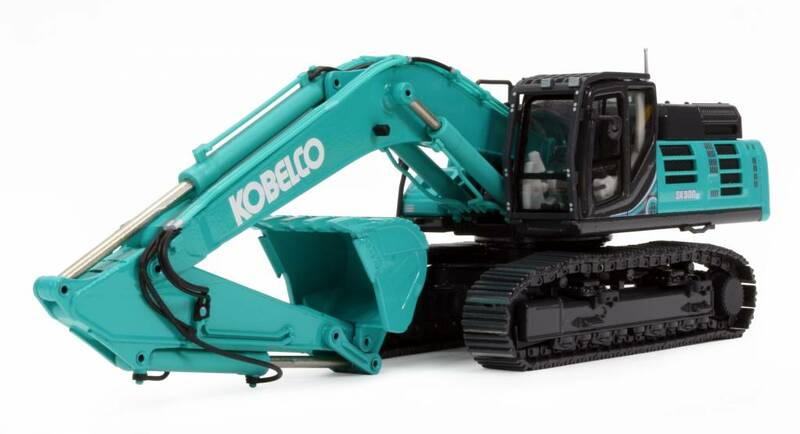 Please send Kobelco pictures of your scale model collections and your thoughts on this new model.